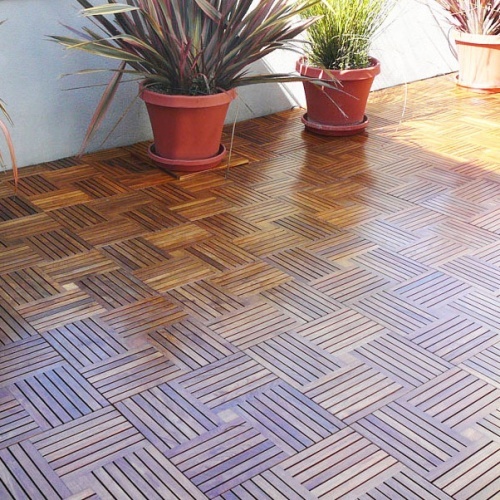 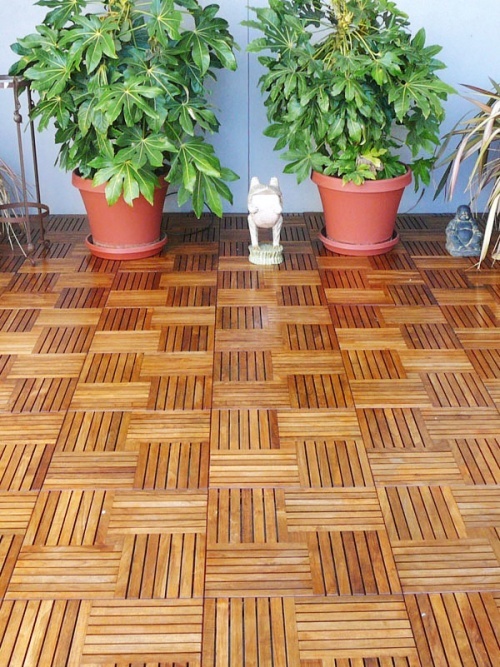 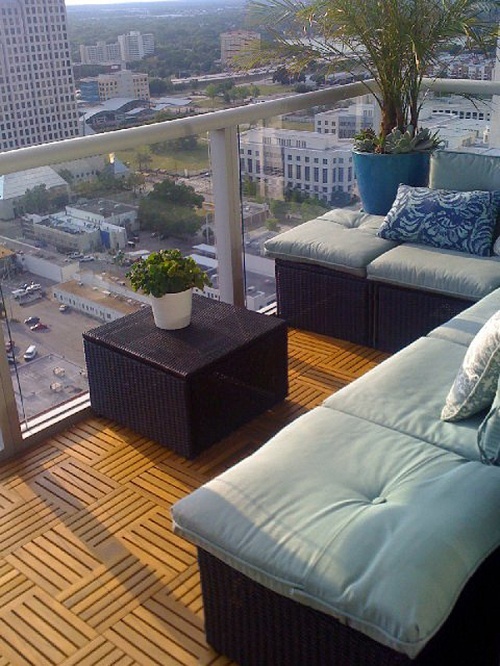 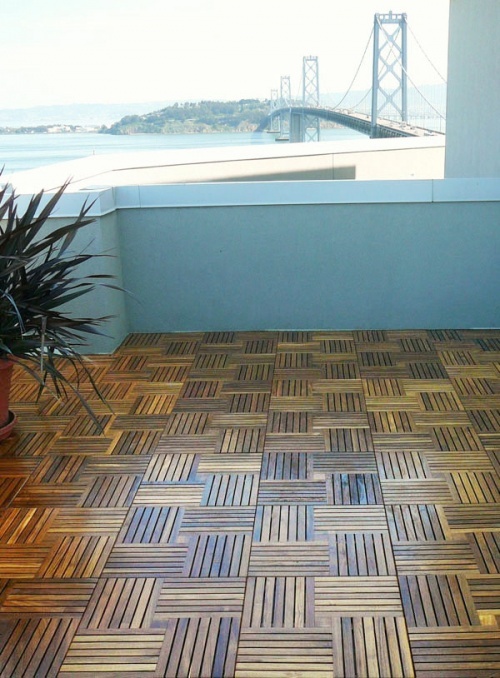 70405 - 5-Pack Parquet Deck Tiles 18" x 18"
Our Westminster Teak Parquet Tiles are perfect indoors or outdoors. 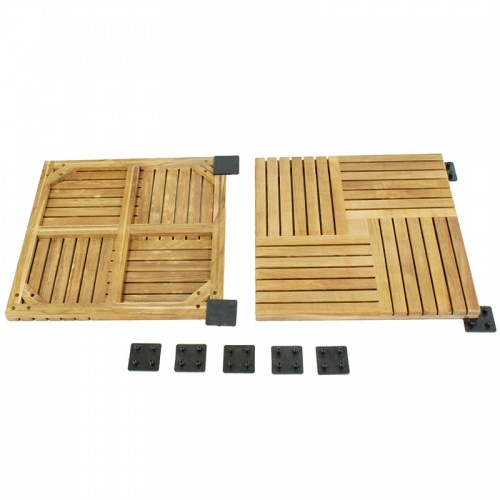 They can be used as standalone deck material, for spa shower floors, for covering an existing deck, for door mats, for walking steps, for counter tiles and for many, many new applications that our customers invent from time to time. 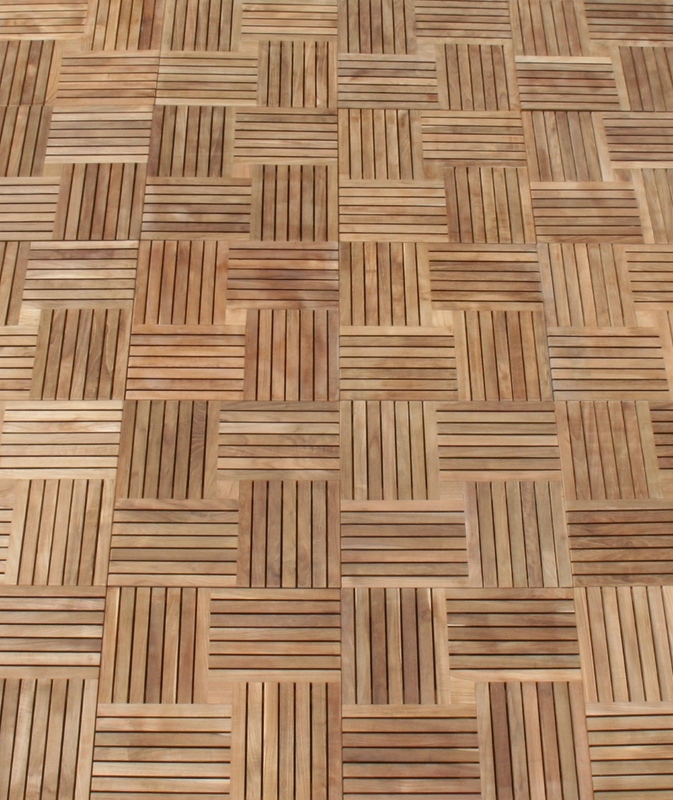 Our Teak Floor Tiles are made of 100% Plantation Grown Teak and will last a lifetime even untreated, outdoors and weathered! 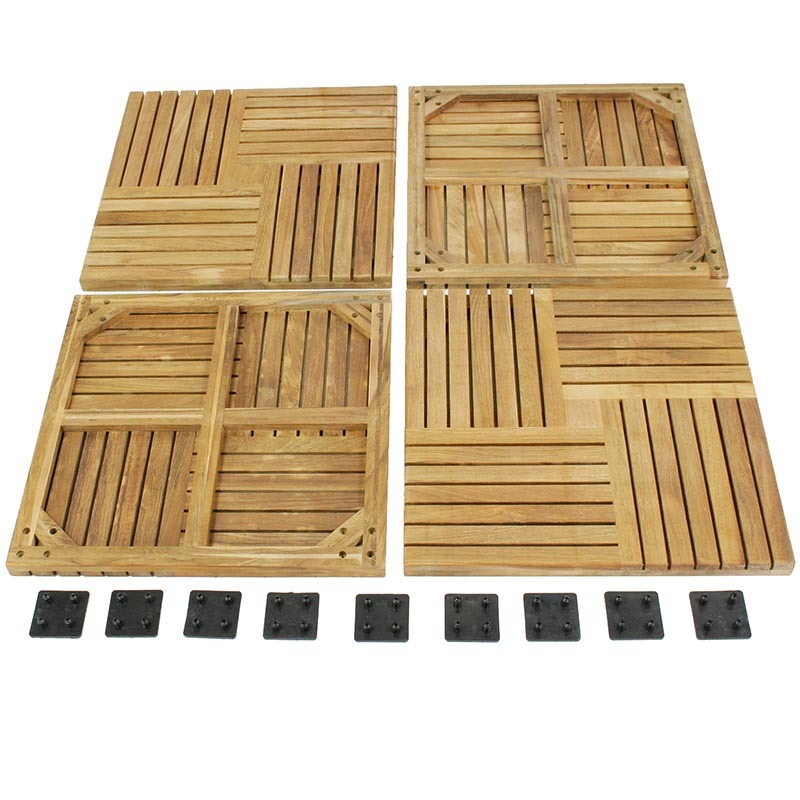 Each tile has 4 predrilled holes in the corners that allow them to be installed using the plastic connectors. 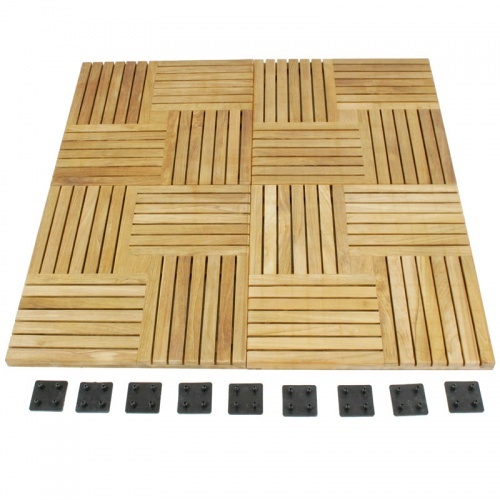 Installation is easy, simply place a connector on the floor with the prongs pointing up then place the tiles on top of the connectors inserting the prongs into the predrilled holes on the tiles. The tiles then rest in place firmly on top of the connectors. 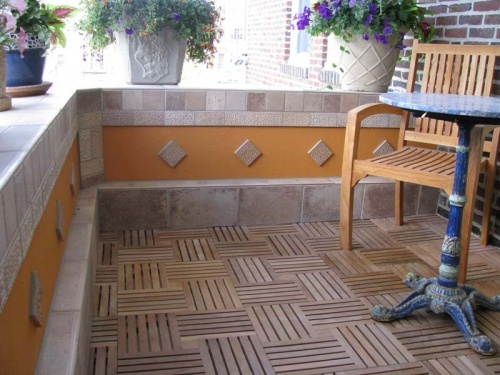 These tiles require no tools to install or remove for cleaning. 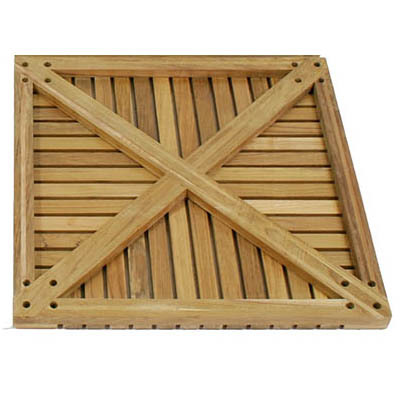 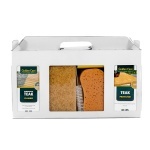 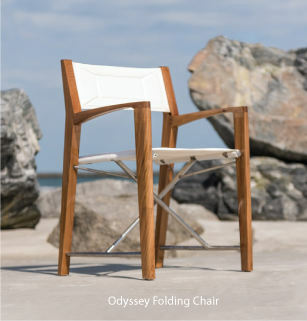 Teak Polyethylene Tabs - 2.6875" x 2.6875" x .125"
The time is now 04:04 AM EST!